What is Jow Ga Kung Fu? "Traditionally a Martial Artist was a living example of kind righteous conduct, resulting from developing a supreme skill from hard work." Jow Ga is a system of traditional Kung Fu that was developed from three Shaolin systems; namely, Hung Ga, Choy Ga and Northern Shaolin Kung Fu (ga means family). Jow Ga was first known as "Fung Gwa Jong" and later described as Hung Tao Choy Mei because the system incorporated Hung Ga Kung Fu's powerful upper body techniques and Choy Ga Kung Fu's swift footwork and complex kicking techniques from northern Shaolin Kung Fu. Hung Ga Kung Fu is a southern style that was developed for close to medium range defense. This style emphasizes low stances and is especially known for its low horse stance. Kicks are generally low and hand techniques are powerful and direct using strong stances to deliver formidable blows. Choy Ga Kung Fu is also a southern style that emphasizes long reaching hands, wide horse stances, and is accompanied with complex footwork called "rat stepping". Jow Ga also includes the animal techniques of the leopard, dragon, tiger, crane, snake and many more. Lastly Jow Ga also uses hard and soft techniques from its Shaolin roots. 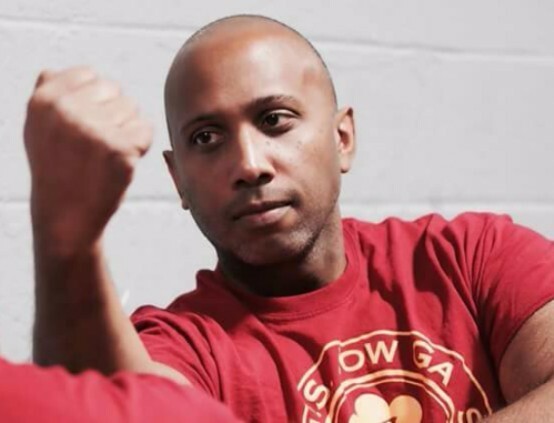 The Jow Ga Martial Training Association is a home based training facility that focuses on character building as a number one priority, not aesthetics and competitions. We train in small groups (squads, 6-8 people) to ensure quality. We believe that through regimented hard work someone can refine themselves into someone better. Esprit de corps and local community involvement is what is missing from the modern Martial Community. It has been replaced with participation trophies, complacency and incivility. The community neglect and arrogance on display in common martial arts establishments is absent in ours. We give to local and veteran charities. We assist the poor and homeless. We honor our ancestors, our teacher and ourselves by doing. The system of martial art we practice focuses on incorporating strength, cardiovascular endurance and core synergistic movement. Classes combine basic training techniques from the United States Army with traditional Kung Fu training. Fitness is an important part of our daily routine and it has such a powerful impact on veteran transition and individuals going through adverse situations. As we train and get healthier, stresses fall away and things become more clear. We obtain mental and physical balance. 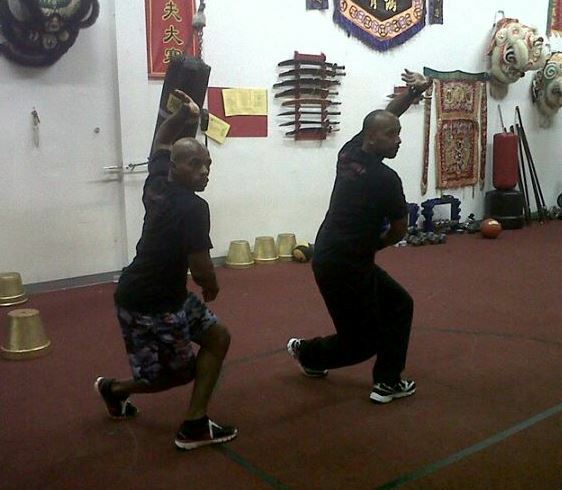 The Head instructor holds certifications in personal training, Boxing fitness and Traditional Chinese Kung Fu. Join us and pursue a lifestyle of a higher personal satisfaction. Obtain a standard of health that will not only benefit you but your family and community. Yat Ga Yahn. We are 1 family. A great resourse and explanation of Jow Ga Kung Fu from our Grandmaster Dean Chin published in 1978. Feel free to read and if you have any questions please let me know. ​​ At a young age Joel was introduced to wrestling and boxing. While still in Elementary School he was introduced to gōngfu (kung fu, 功夫) through his brother Thomas who was practicing Seven Star Praying Mantis (七星螳螂) and Northern Shaolin kung fu (少林功夫). After a term in the US Army, Joel returned home to continue his training with his brother, who was learning Hung Ga (洪家) at The Harmonious Fist Hung Ga Tiger Crane System from Wayne Stevenson (Sifu), student of the renowned Josephus Colvin (Sifu). Joel had the privilege of being under their guidance for many good years. 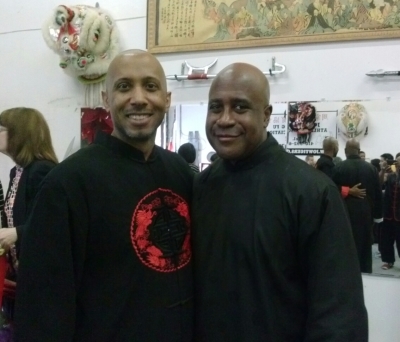 Master Colvin moved to Texas and recommended that Joel continue his training under Master Colvin's beginning system, Jow Ga (周家) taught by Sifu Derek Johnson (Cheung Tai Lik Sifu 張大力師傅). 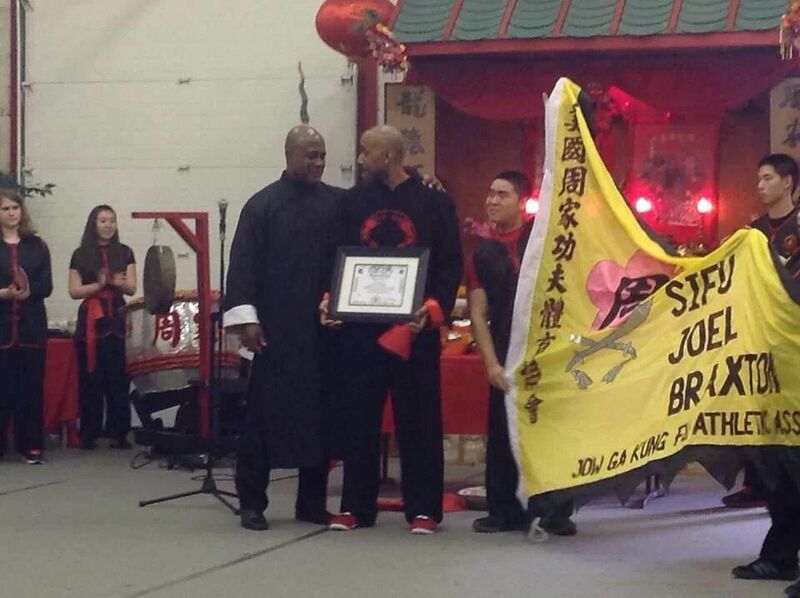 Joel joined Sifu Johnson at the Jow Ga Kung Fu Athletic Association 周家功夫體育協會 . After 9 years Joel was the assistant head instructor at the association and is recognized as a disciple of Jow Ga Kung Fu system. Joel is well versed in Yang-style Taiji (Tai Chi, 楊氏太極) and Qigong (氣功). Over the years Joel has become certified personal trainer while working at Fitness Together (ISSA Personal Trainer Certification, Cardio Boxing and Advanced Cardio Boxing Fitness Trainer Certification). 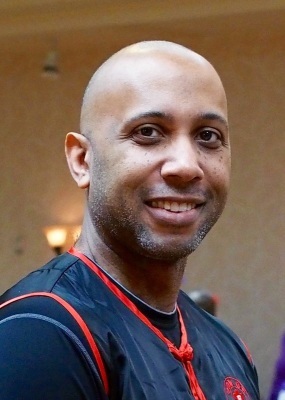 In addition, Joel assisted with building U.S. Jow Ga Martial Arts in Columbia, MD and has been a Kickboxing Instructor at the EliteSFN Boxing Gym since 2014. All classes are set up by appointment only. 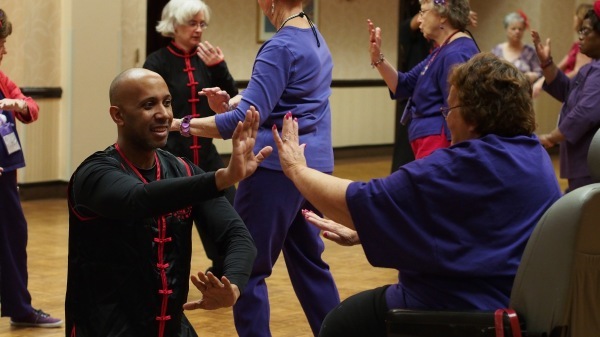 Our students have been involved in Kung Fu related competitions and events throughout the United States, China, and Europe. The Chief Instructor SiGung Derek Johnson (Cheung Tai Lik) has studied various martial arts & boxing since 1975. He has continuously studied the art of Jow Ga Kung Fu since 1978. More than 19 yrs of law enforcement defensive tactics experience, which included ground fighting. 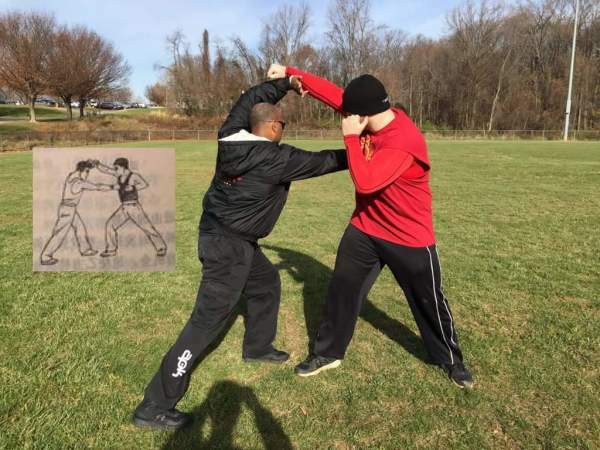 The 2nd branch of the original association, the Jow ga Kung Fu Athletic Association continues to promote and spread the art. U.S. Jow Ga Martial Arts is an all volunteer Martial Arts school. They foster the six tenets of Jow Ga: Kindness, Honor, Humility, Discipline, Loyalty, and Respect. 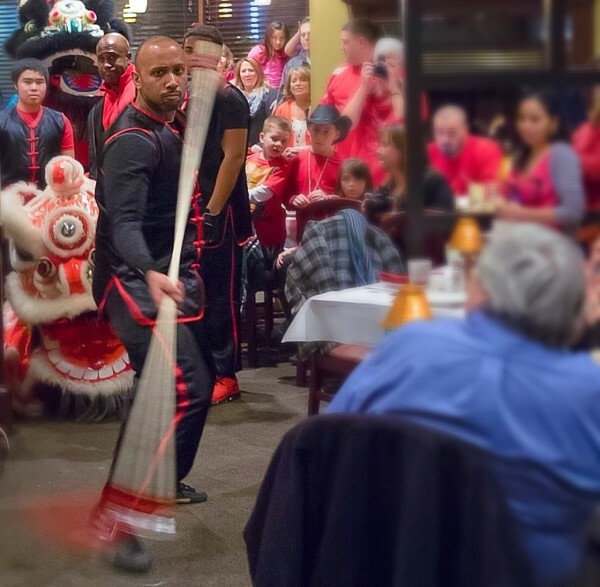 In addition to Jow Ga Kung Fu they also teach students how to use various weapons and traditional Chinese lion & Dragon Dancing. They strive to provide a family atmosphere for all.